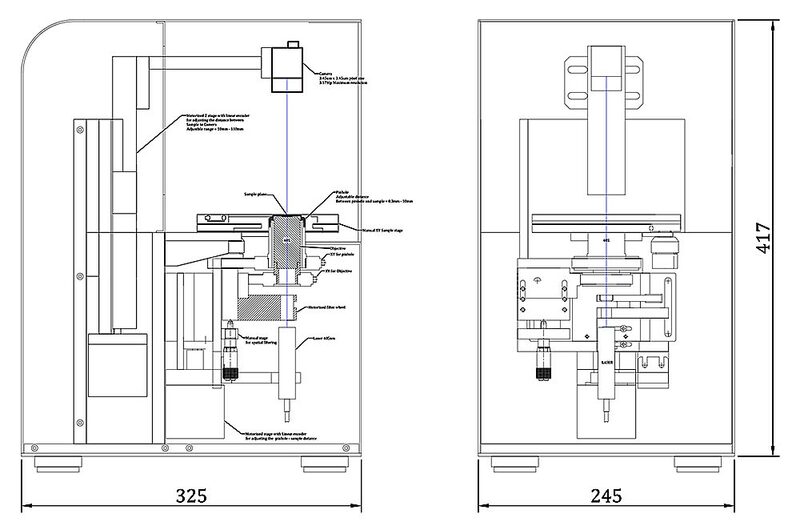 Holmarc's Digital In-line Holography microscope model HO-DIHM-T01 is a powerful imaging system for the digital reconstruction of complex object (amplitude and phase) from a single intensity image recorded by transmitting a coherent light through it. 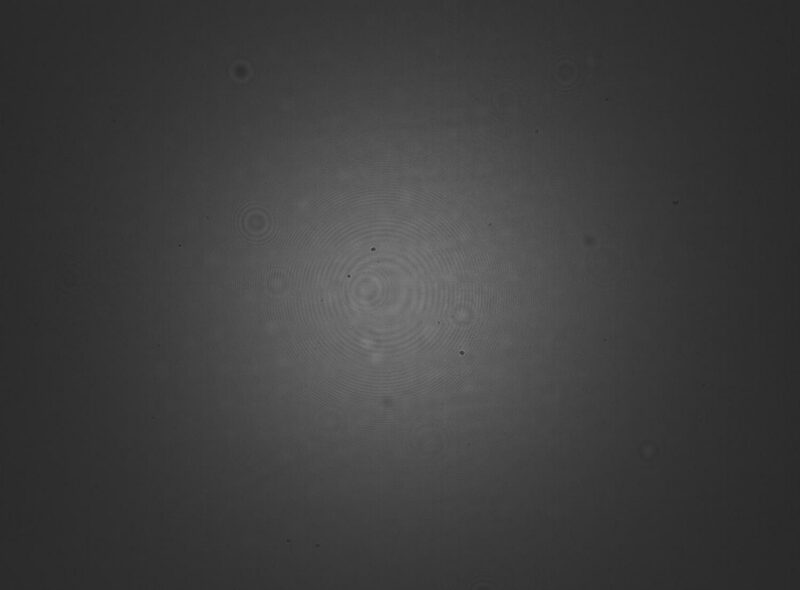 Holmarc's DIHM is equipped with a transmission type in-line geometry where a coherent point light source illuminates the sample and a CMOS camera record the 2D interference pattern produced by the scattered light (object beam) with non-scattered light (reference beam). The software then numerically reconstruct the 3D structure of the sample from the recorded 2D interference pattern by computing the field backward to different planes. The software uses the patented single shot phase unwrapping algorithm developed by IIT Delhi. 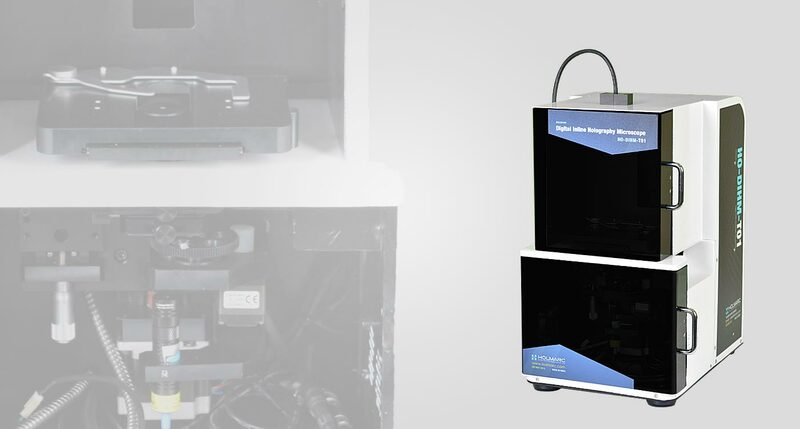 The large depth of field DIHM makes it possible to image large volumes with comparable resolution and simultaneous imaging of particles located at different depths without the need of mechanical scanning. Holmarc made this system particularly for particle size analysis and particle tracking. HO-DIHM-T01 can be used as both In-situ and Ex-situ for the imaging of particles from sub microns to several millimeter in size. It uses 650nm diode laser with pinhole assembly as point light source and Sony's 2.3MP CMOS sensor IMX174 for recording the interference pattern. This USB 3.0 Sony sensor provides excellent image quality with low-noise performance at 166 fps. Cell biology, 3D dynamic analysis of cells. Study of ice crystal habits from cloud chamber.